Why Do it? 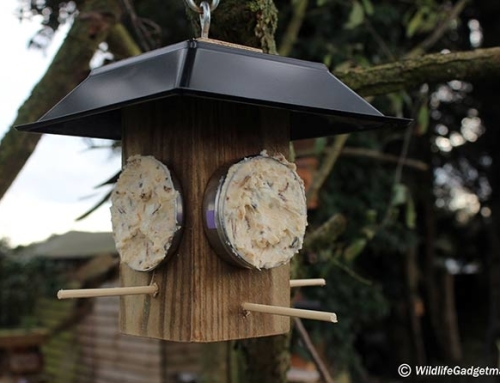 : Feeding birds in your garden is a great way to increase biodiversity in your local area. 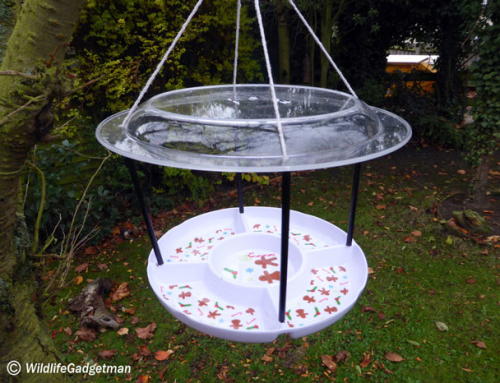 What you Need: 16in Diameter Hanging Basket, Plastic Plant Pot Tray (approx. 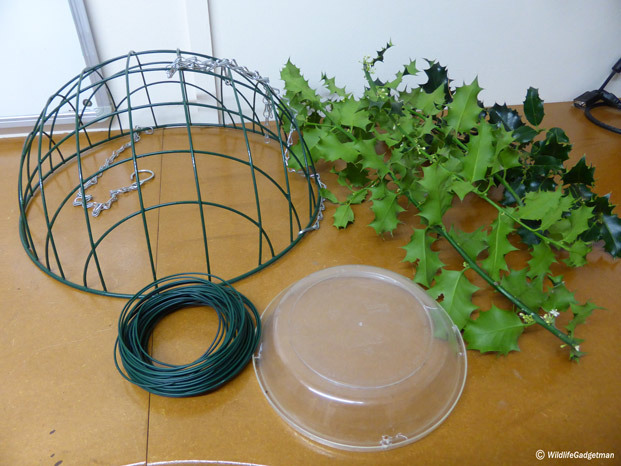 8in diameter), Garden Wire, A Bunch Of Small Holly Branches. We all love a holy covered Christmas wreath this time of year. 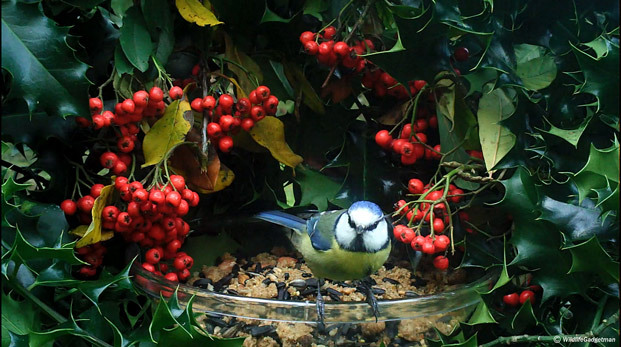 How about adding a wildlife twist this year and create a festive wreath bird feeder?! The first stage is to collect your materials. 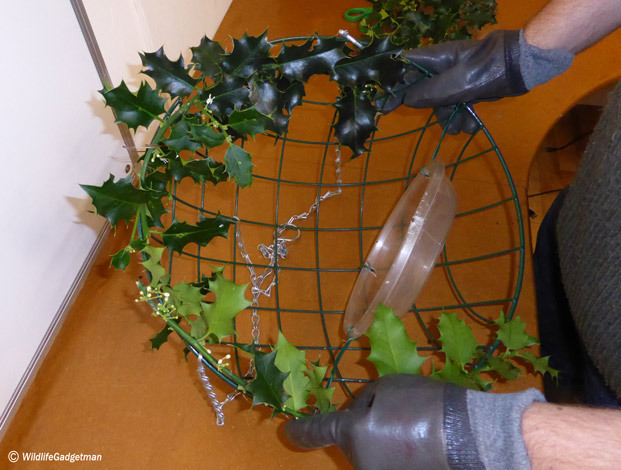 I recommend using a large hanging basket (at least 16in dia) for the base structure of your wreath. 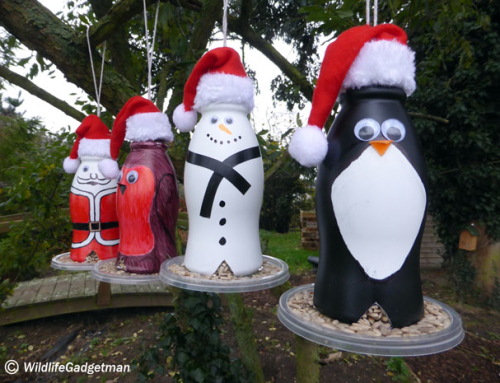 This will allow plenty of space for the seed tray once the hanging basket has been covered in holly. Speaking of the seed tray, look for a plastic tray/dish approx. 6-8in diameter. 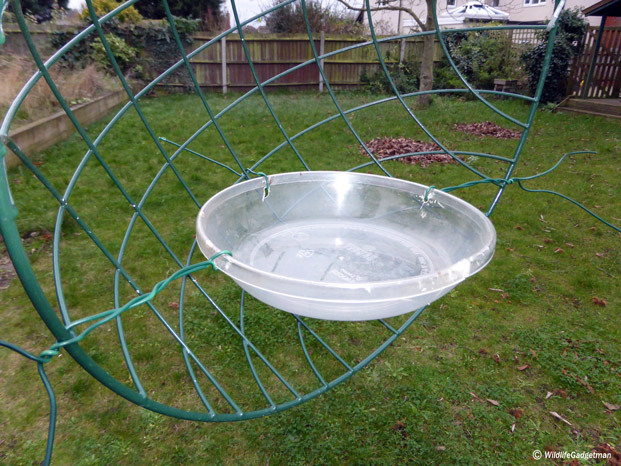 Plant pot drip trays or picnic plates work really well for this. Next you’ll need something to fix the seed tray to the hanging basket. 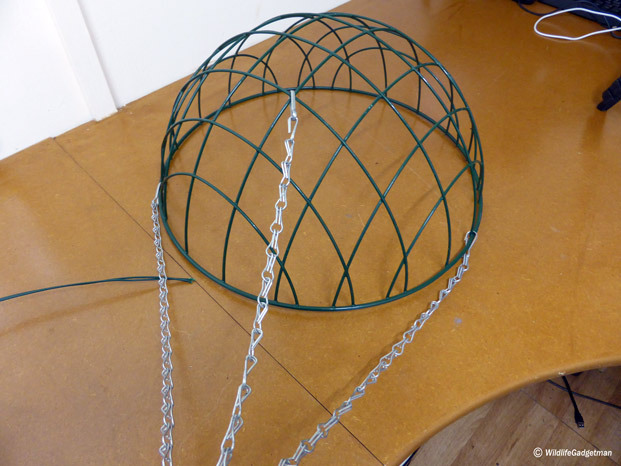 I originally tried using cable ties but found garden wire, you know the type with the green plastic coating, worked better. 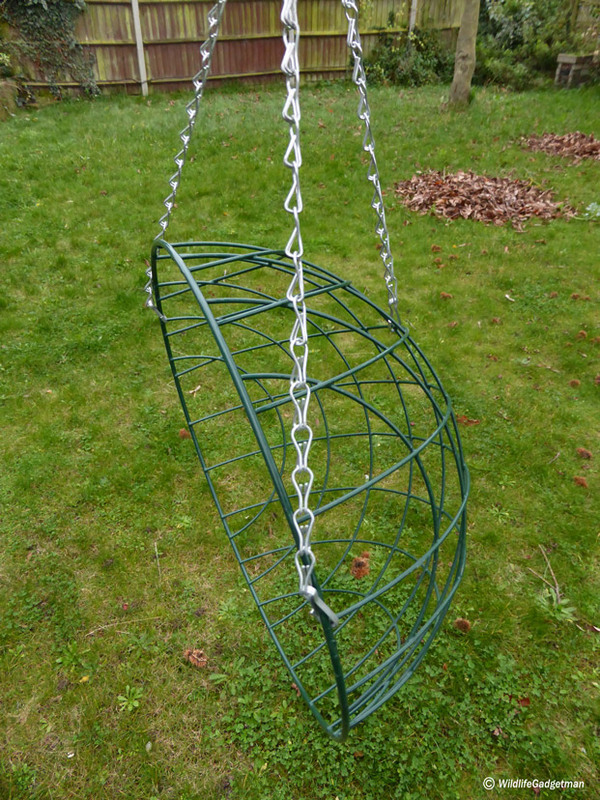 Release one of the hanging basket chains and reattach it so the basket is hanging vertically as in the image below. 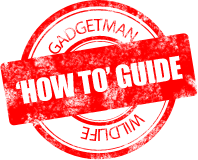 You will probably need to remove some of the chain links to ensure the open basket hangs perpendicular to the ground. Drill three 4mm diameter holes at the 12 o’clock, 3 o’clock and 6 o’clock positions (see image above). Add lengths of the garden wire to each hole. Find a place to hang the hanging basket. 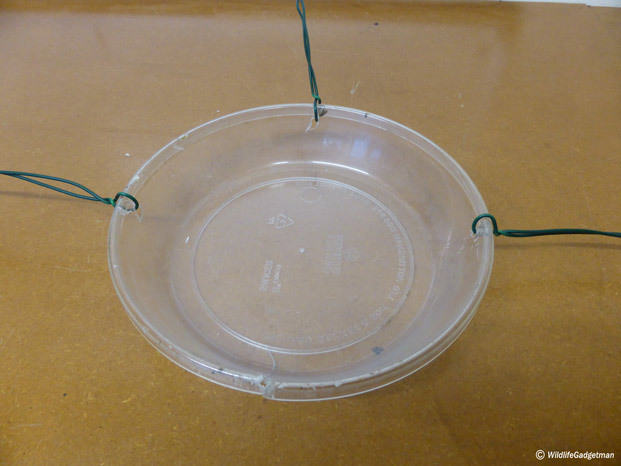 Now fix the seed tray into position using the garden wire. 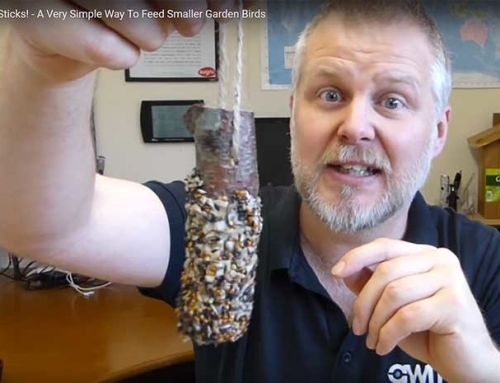 Add a few twists to the wire before attaching to the hanging basket as this will help support the seed tray and keep it central. Make sure the tray is horizontal to the ground so the seed doesn’t fall out later! Trim any excess wire ends. Weave lengths of holly all over the hanging basket frame. Make sure you thread it through holes to ensure it holds in place. You may want to wear gloves for this part! 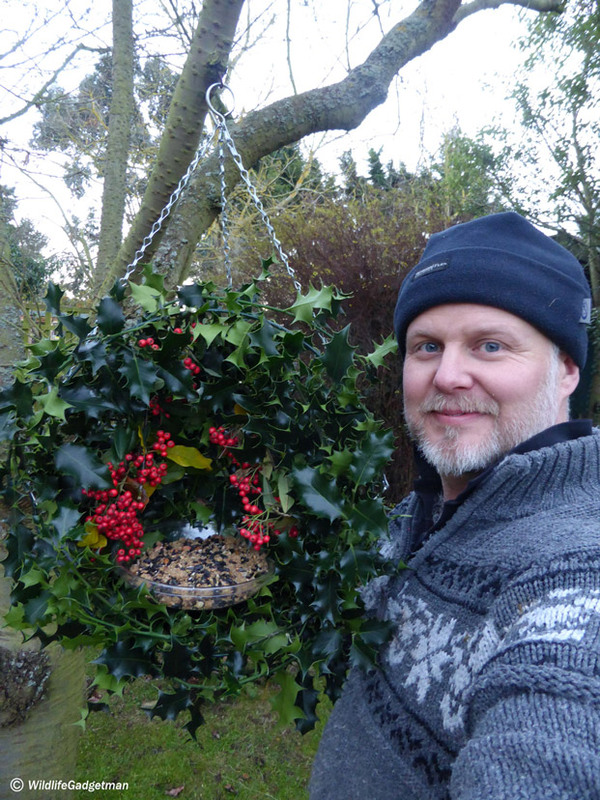 Your festive wreath bird feeder is ready to hang! 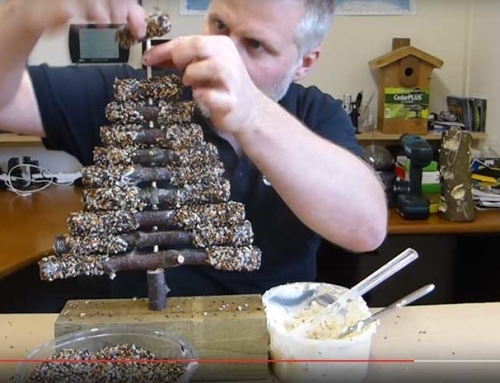 Fill your new festive wreath bird feeder with bird seed and hang it in your garden! 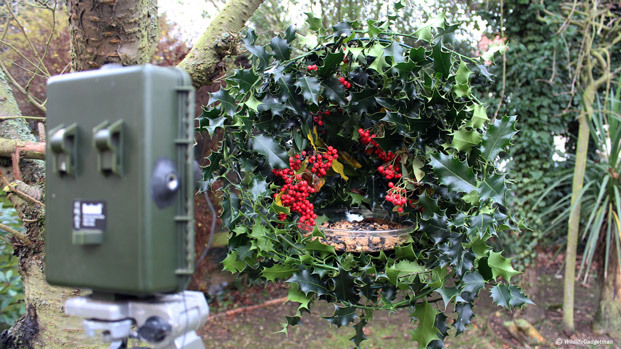 I placed my festive wreath feeder in the garden and then set up one of my trail cams overlooking it. 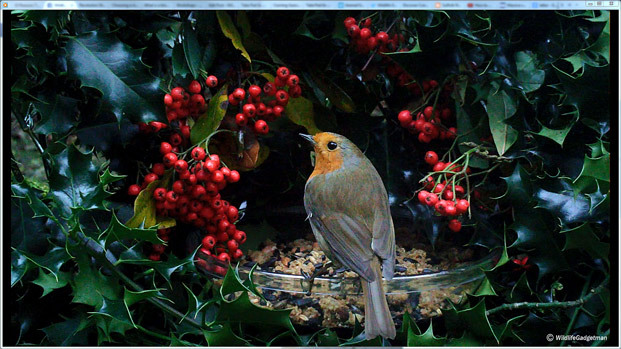 It wasn’t long before the birds started visiting!